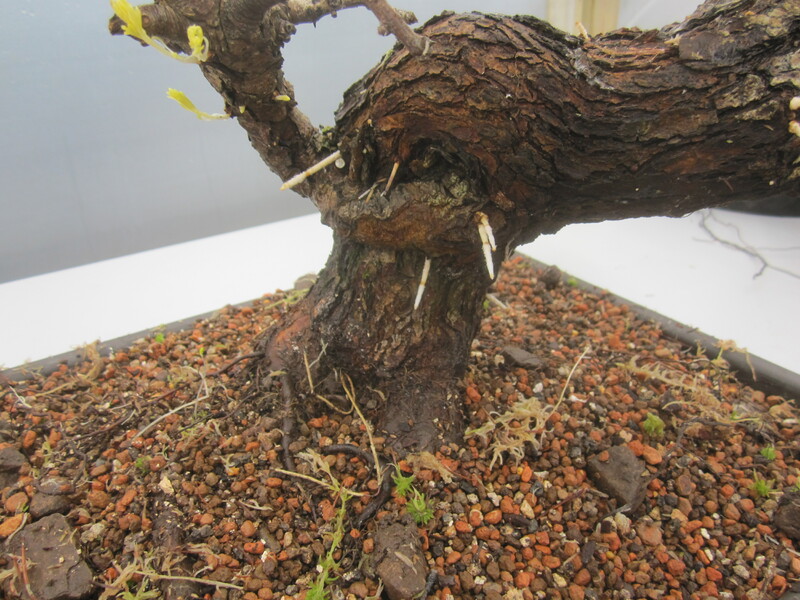 I am working on some revolutionary methods for establishing newly collected Yamadori. I started back in November with five trees using different techniques, two failed but three have delivered spectacular results. 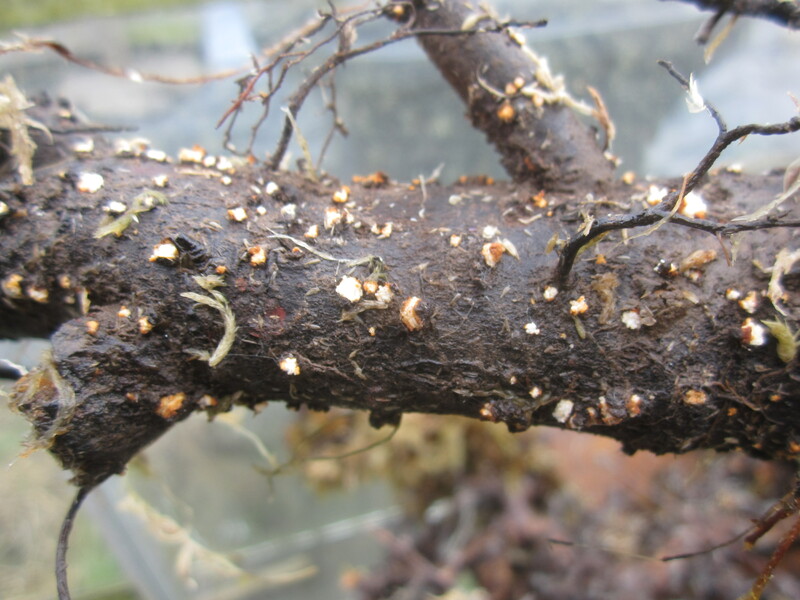 Prunus Spinosa and Crataegus producing roots from the whole tree, these photos were taken in February. With this knowledge I set out and collected over 100 trees and these are now thriving. I am busy collecting Yews up to the end of April in the UK then over to mainland Europe for Pines and Picea. This year’s stock will be available for reserve for a deposit of 50% from Mid June onwards. I have uploaded these photos in hi resolution so you can take a closer look if you ‘click’ on them! The white specks are the start of new roots, two weeks after this photo was take the roots were 2cm long! 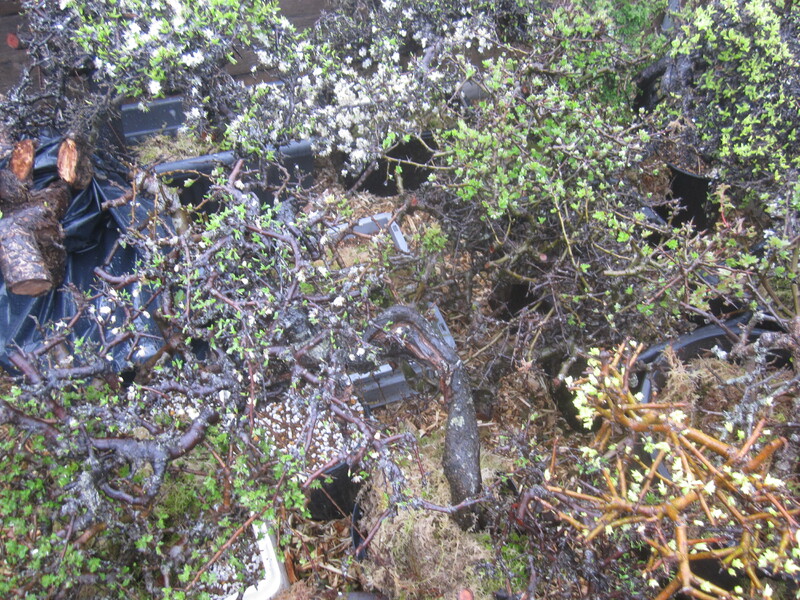 A small section of the recently collected Prunus Spinosa and Crataegus, they are triving. 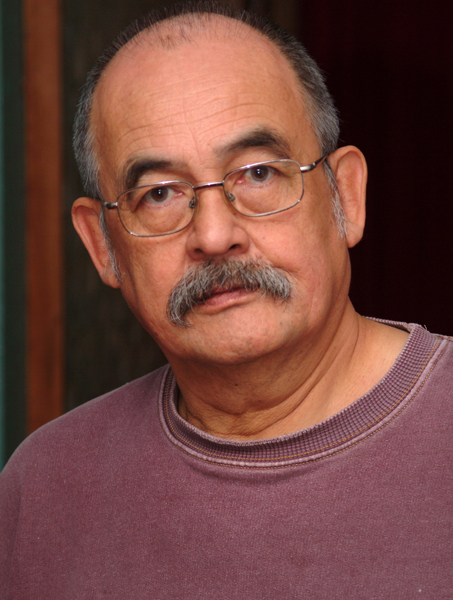 I encountered Dan Barton in 1991 at the Bonsai World Convention in Birmingham UK and he was the first ‘true’ bonsai artist I studied with. Over the years I have helped Dan with his computer skills and in return he has helped me with my bonsai. We are close friends and Dan is someone dear to my heart. In this interview Dan tells us what excites him and how he relates the character of the pot to the character of the tree. 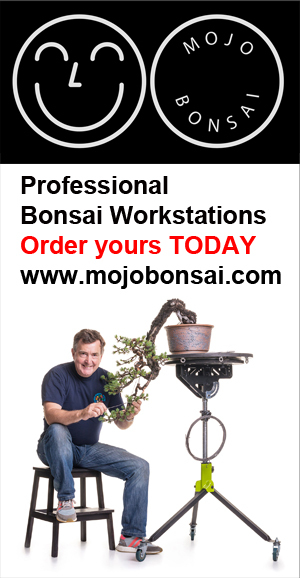 On the Monday following the Noelanders Trophy XIII I visited Hans van Meer’s Bonsai garden, here is the film. Bob came over today and we spent the morning repotting a few of my trees. Having an extra pair of hands makes the job so much easier. This is a Prunus Spinosa that I collected on my 50th Birthday… it’s called ‘Fifty’ and it has been in this pot for 2 years. This Beautiful Duffett pot was fine to ‘bring on’ the tree but not a good choice as it is way to ‘chunky’.